Jill Stein is really playing very fast and loose with this whole recount thing that serves no purpose. In Wisconsin, 95% of the votes were recounted, and as of December 11, Hillary Clinton gained just 25 votes on Republican Donald Trump. President-elect Trump won the state by more than 22,000 votes. This is some sort of publicity stunt so people will know who she is next time, not to mention a huge waste of money – or profit for Stein? We really should ask what law firms are making all the fees and what is Stein’s connection, if any? Stein is a real con artist exploiting the nation for publicity and money. She conceded defeat on Saturday in Michigan claiming she is fighting for a voting system that is “accurate, secure and just” isn’t over. This is becoming a bad joke. Nobody believes she is doing anything worthwhile at this point and she has presented no evidence that the vote was inaccurate, insecure, or unjust. She is being very dishonest and an outright con artist playing on the divide in the nation for person gain. This was a standard statutory bond for the case where she would not have to put up any cash, just collateral, in the event that the state court required Stein’s campaign to shoulder the recount costs, which she said she was raising money for. The petitioners would only have to pay a fraction of the bond up front and would get the money back if a judge ruled that they were not liable for recount costs because there was some fraud. Trump’s lawyers had asked the judge to set the bond at $10 million. The petitioners asked for $25,000. So, the judge was being reasonable and even allowed any party to appeal to change the amount if they could show “good cause” to do so. Stein did not appeal because she knew she could not show any fraud. Stein then pulled a fast one. She ran to federal court arguing that requiring voters to contest an election as “illegal,” which is the standard under state law, “denies and severely burdens the right to vote and… violates substantive Due Process under the Fourteenth Amendment to the United States Constitution.” As a student of law myself, this is clearly a joke. Substantive Due Process claims are the hardest to make for they are frowned upon given they are extremely broad. The real issue was clear to any law student. Stein had no evidence to support her case that Pennsylvania’s election was “illegal” and thus should be put aside. Stein could not possibly prevail to get a recount in Pennsylvania. Her position was simply that the Democratic National Commission files were hacked so maybe the vote was also. But Wikileaks has said it the DNC was not a hack but a leak meaning someone on the inside copied everything. Stein could not point to a single instance to argue that Pennsylvania’s vote was somehow hacked. Clearly, her lawyers told her she had no chance in state court so she ran to federal court to argue she has a right to recount with no proof of anything, and thus this is a Substantive Due Process claim that would have to go the Supreme Court without any evidence whatsoever just visions of grandeur in her head or dollar signs in he eyes. Nobody paid attention to here in the election since she could get at best 1% and now everyone knows who she is. Her con work to that extent. On Monday, in a 31-page decision, U.S. District Judge Paul Diamond said there were at least six grounds that required him to reject the Green Party’s lawsuit, which even the Pennsylvania attorney general’s office opposed. Jill Stein’s claimed suspicion of a hacked Pennsylvania election “borders on the irrational” the court wrote while granting the Green Party’s recount bid could “ensure that that no Pennsylvania vote counts” given Tuesday’s federal deadline to certify the vote for the Electoral College. Stein was obviously putting on a show so she does not have to return any money. The court further wrote: “Most importantly, there is no credible evidence that any ‘hack’ occurred, and compelling evidence that Pennsylvania’s voting system was not in any way compromised.” The Judge further said the lawsuit suffered from a lack of standing, potentially the lack of federal jurisdiction and an “unexplained, highly prejudicial” wait before filing last week’s lawsuit, four weeks after the Nov. 8 election. Indeed, to wait so long appears to be just a show knowing there was no possible standing or basis for this filing. After two days of ballot counting in Michigan, a federal judge on Wednesday halted the hand recount of 4.8 million ballots cast for president in Michigan. He cut through the nonsense and made it rather simple that Stein has not presented any real evidence of foul play and there’s no valid reason to continue the recount. U.S. District Judge Mark Goldsmith delivered an 8-page decision saying “there is no basis” for him to ignore a state court ruling that said the recount never should had started. The Michigan Court of Appeals, in a unanimous 3-0 ruling, said that Green Party Candidate Jill Stein had no possible standing to ask for a recount because she came in 4th place with barely 1% of the vote. She obviously was by no means an aggrieved candidate. This legal decision is correct. If one person wrote my name in for president, then using Stein’s logic, I would have standing to demand a recount of the entire election. The position of these recounts has been playing into raising money. But for what end? 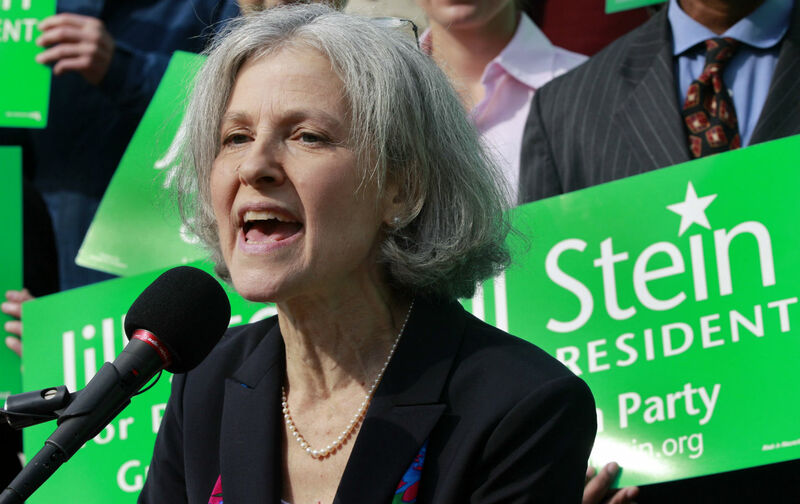 Stein only had $3.5 million in donations to run for president. She has raised over $7 million for a recount. Who is giving her this money? Obviously, Hillary supporters; not people who fear their vote for Stein was not counted properly. This is all feeding into the great divide. The more this is entertained, the worse it is for the country. There is clearly no hope of overturning the election. Stein should refund all this money and not hand millions of dollars to lawyers for a lost cause. We are now entitled to integrity and to investigate whatever the connections might be with the lawyers, Stein, or the Green Party with this money obtained under false pretenses.